14th century Czech priest and scholar John Hus is considered one of the first Protestant reformers. His interpretation of scripture and his bold stand against church corruption would strongly influence Martin Luther a century later. Hus spent his last days as a prisoner in Constance on charges of heresy. During his imprisonment Hus formed an unusual friendship with one of his jailers, Robert Talio. Hus's demonstration of faith in the face of death won Talio over to his cause. This historically based documentary produced for Czech television features outstanding dramatized scenes that reveal Hus's humanity and depict his unwavering commitment to God's mercy and justice. 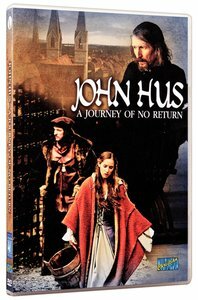 About "John Hus - a Journey of No Return"